When did the idea for CBD Flavoured drinks come about? 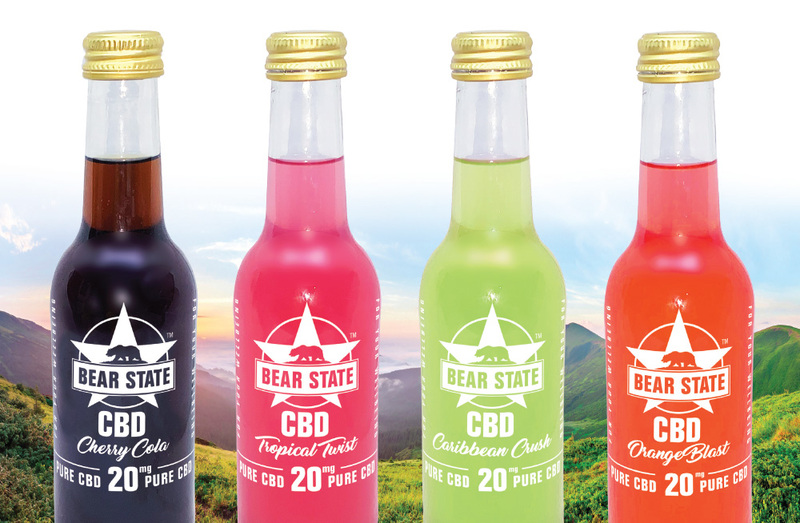 Bearstate Beverages came to the market in November 2018. Do you have a history in the Hemp Industry or just spotted a business opportunity? We have collaborated closely with producers in Colorado and have imported from USA for a number of years. You currently have 3 styles of drinks at the moment, tell us more about them? The range has now increased to Four. The flavours are cherry cola, Orange Crush with a hint of Mango. Tropical Twist, a blend of exotic fruit juice, peach, and passionfruit. Caribbean Punch is a blend of Pineapple and grapefruit. The shelf life is 18 months. CBD water is getting a lot of traction at the moment, any plans in the future to move into this sphere? We are developing 3 sparkling water lines of different flavours. How has the UK market received CBD flavoured drinks and what segment is the biggest uptake for the products? In relation to formulations was it difficult to find a company to work with you to infuse CBD into the products. The industry is still very much in its infancy and I presume there is a lot of trial and error? It wasn’t as difficult as we thought but there were trial and error and a lot of patience. We also searched throughout Europe, Canada and USA and fortunately found one in U.K. to work with. With current legislation surrounding CBD in the UK all over the place at the moment, how will this affect your business model and products? We will work closely with authorities and adhere to guidelines and a Bioscience company based in the UK who we have worked closely with we will take directive from them. Any plans to move into the tinctures and other products? With regards to foreign markets, has your company been approached with many export options currently? We have been approached by distributors from Colorado, New York, and Los Angeles. Where do you see your brand heading towards over the coming years and do you have to tweak this to future proof the brand in relation to legislation? Undoubtedly we see the brand growing over the coming years we will do all we can as regards legislation. The Interview was made with CEO John Mcleish.